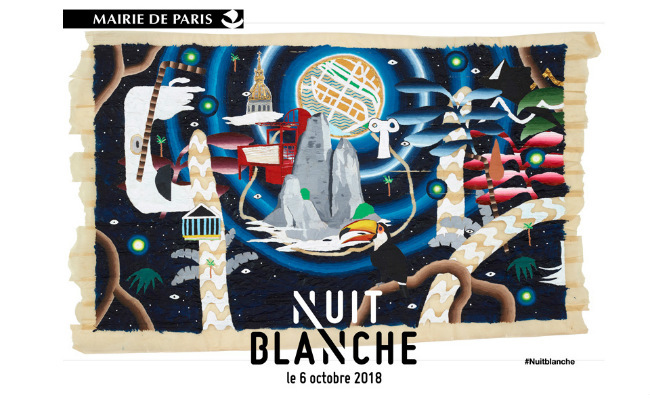 Nuit Blanche 2018: Explore the Constellation "La Villette"
Arts et Sciences: It’s the theme for Paris’s 17th edition of Nuit Blanche! On the first Saturday in October, in all parts of the city, artists will be proposing installations, exhibitions, concerts, and performances that explore all facets of contemporary art and offer a new view of the city. Each year the city appoints a curator to do with Paris as s/he wishes from 7 pm to 7 am on Nuit Blance. (Yes, this Saturday, 6 October!) Transport is free (some wonderful installations may just be planted for you on the metro this year) and plenty of cafes and bistrots will pull all-nighters with you. 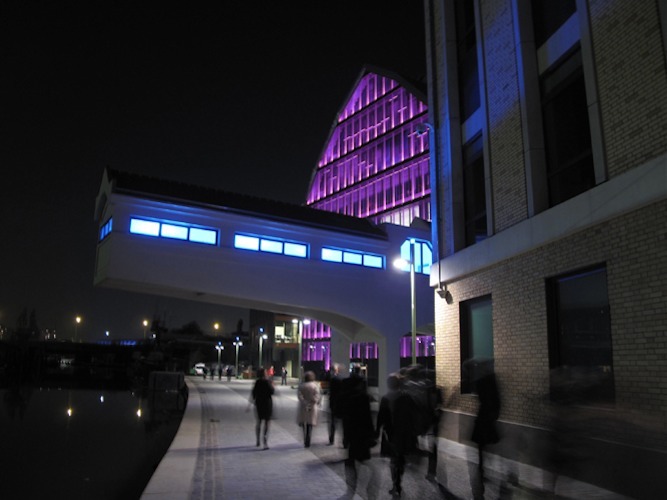 This is the first in a series of Nuit Blanche articles published on Bonjour Paris. To read them all, click here. 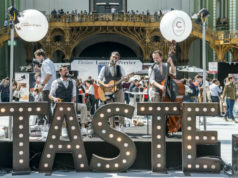 THATMuse staffers Daisy de Plume and Alexandra Aldersley are highlighting a few of their favorite Nuit Blanche events this week on Bonjour Paris, setting small treasure hunt challenges per constellation. The team who hashtags their treasure hunting answers the most (throughout the night, Sat 6 Oct), could win a free Treasure Hunt at the Louvre for up to 5 people (entry tickets not included, valid for 6 months). So watch this space for our articles to plan your Nuit Blanche route… Roller Derby anyone? Dervish Trance Dancing? Family fun at Little Villette? – Tag away throughout the night & email [email protected] with subject heading Nuit Blanche and the number of posts you did to win your Classic Treasure Hunt au Louvre! Since 2015, La Petite Halle has become a staple of the Parisian music scene. Originally a slaughterhouse, the building has been repurposed as one of Paris’s most prominent music venues. 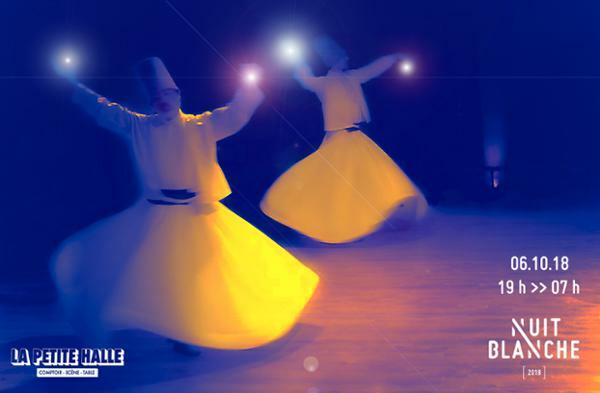 For Nuit Blanche, the Petite Halle devotes an entire night to discovering the trance of the whirling dervishes and Mystics in Music. Singers from various Middle Eastern countries, including Syria, who are in Paris by choice, exile and for reasons that are involuntary migration, will be singing Sufi Liturgic songs, once inside Petite Halle. THATMuse Challenge: You can guess, this request is so obvious! La Petite Halle is near the enormous entry esplanade and carpet of grass that hosts the summer open-air cinema. Take a 15-second video of your own Spinning Dervish Dance (how low can you go!?! ), hashtagging #THATMuse so to get your credit! Because Nuit Blanche also belongs to those with early bedtimes, Little Villette has a program designed exclusively to kids, from 3 years onwards. With Little Cinéma Plein Air projecting films on the façade of Little Villette, there will be a Carroussel Florissant with lighting installation by Caroline Martin, a Cirque dans le Noir by Christopher Thiery, Storytelling on ancient Egypt by Clement Turin and plenty of games across the illuminated terrace where tots can make new friends, interact and share in this indulgent late night! THATMuse Challenge: Please take your best Walk Like an Egyptian photo, arranging your team/family from smallest to largest and in profile just like the Egyptians! Hashtagging #THATMuse so to win your Louvre treasure hunt. Catch Eric Michel and Akari-Lisa Ishii’s immersive light, video and sound work that debuted in Lyon’s Fête des Lumières. Platonium is a nod to the myth of Plato’s cave: placing the public at the heart of current scientific knowledge, the work encourages us to emerge from darkness to understand the world. Lighting came as a 2nd (or 3rd) career for Michel, who has advanced degrees in economy and mathematics, leading to his post as CEO of an American financial firm in Japan before he devoted himself to art, design and lighting. THATMuse Challenge: Step out of the darkness and into the light! Gives us your best “Eureka moment” pose in front of Platonium and post the evidence, hashtagging #THATMuse for a chance to win your Louvre treasure hunt. 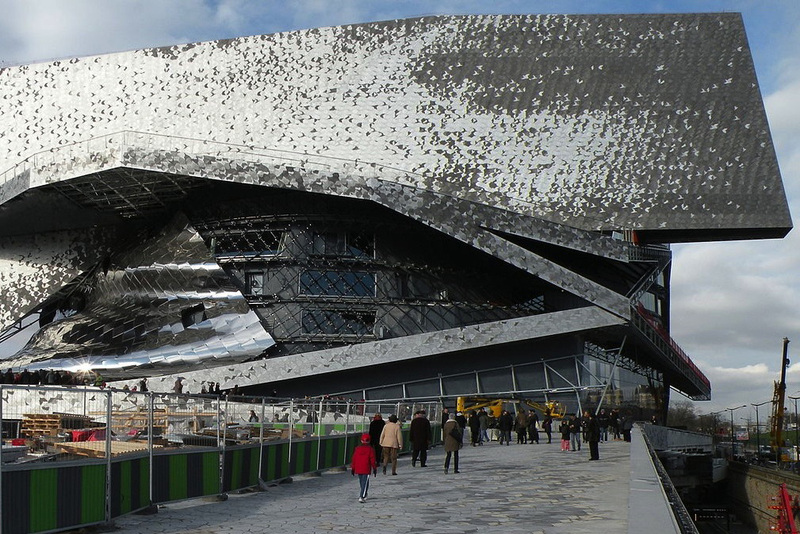 Roam the rooms, saunter the salles, meander musically — the Cité de la Musique has you covered. Pianist Nicolas Horvath is playing a marathon of Erik Satie, performing the entire piano production of Satie. Born to a Scottish expat mother, Satie was an important contributor to the early 20th century Parisian avant-garde, and besides composing he also wrote for American magazine Vanity Fair and published in works such as the Dadaist. Big on Surrealism and the Theatre of the Absurd, Satie was also big on repetitive music. For more contemporary interpretive pieces, an ‘Ensemble New-Yorkaise’ (Bryce Dessner, Sufjan Stevens, Son Lux) will play pop till 2 am, and Xavier Veilhan will transform the Pavillon with an audial installation from the 57th Venice Biennale. 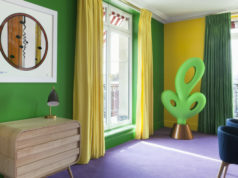 The façade of Cité de la Musique will showcase the collaboration between young emerging artists from the Athem workshop, members of the Atelier Cruz-Diez, Art Team Paris who are going to create visual illusions based on the blend of words, sounds and colors found in Finnegans Wake by James Joyce. THATMuse Challenge: Both contributors to the Avant Garde, please tip your social media hat to both James Joyce and Eric Satie: Joyce invented a unique polyglot language solely for the purpose of Finnegans Wake. Create a 3-word sentence in your own language and repeat it three times in the lobby of the Philharmonie. Post, hashtagging #THATMuse for us to interpret! Originally from California, Alexandra Aldersley moved to Paris in 2016 to pursue a career in the arts. After working in both radio and academia, she now happily serves as the Head of French Operations for THATMuse, a company running themed Treasure Hunts at the Louvre, Musée d’Orsay, British Museum, V&A, Natural History Museum. Alexandra recently co-hosted the launch of a THATRue in the Marais (the latest addition to a collection of street treasure hunts on the Left and Right Banks, including a Harry Potter hunt concocted by writer Annie Caley-Renn).